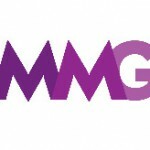 As part of the M&M Global Awards the event spent time in Cannes with a number of partners and curated a selection of key interviews and roundtables. Here Festival of Media CEO Jeremy King and Sam Fay, SVP global brand strategy, Guinness World Records discuss what trends and insights they heard or saw during the Cannes Lions Advertising Festival. There was a lot of talk around inclusivity, the new model agency and what the new media landscape will look like, and how the lower number of delegates made for more meaningful conversations throughout the week. For tickets to this year’s Peaky Blinders-themed M&M Global Awards more information can be found here.